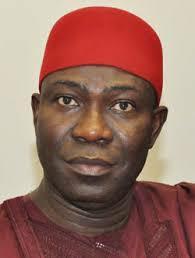 Deputy President of the Senate, Ike Ekweremadu, has raised the alarm of plans by the Economic and Financial Crimes Commission (EFCC) to invade his country home in Enugu and other apartments, under the guise of searching for looted funds. Ekweremadu, who read a letter, reportedly written to him by an unnamed Nigerian, informing him of EFCC’s plans, said the anti-graft agency also plans to ‘plant’ ammunition in his apartment during the raid. He said the move is to force him out of office and give the impression that he is a corrupt politician, unfit to hold any public office. He said plans have also been perfected by EFCC to use groups to protest in major cities across the country, calling for his resignation and prosecution.